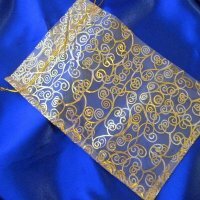 A sheer, silky organza bag with a gold tie-string. 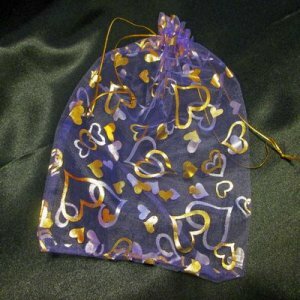 These fancy bags are lavender with a heart metallic pattern. This sheer bag makes it easy to store small items or gifts and you can see what's inside too! 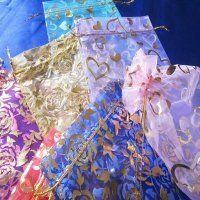 ~Great to use as gift bags...the ideas are limitless!